Yogi Berra quotes: How a false narrative from Joe Garagiola came to dominate the New York Yankees legend’s life. And he wasn’t dumb either. How did the narrative of the wise buffoon come to dominate his life? Smarter than the average bear: Yogi Berra (1953 Bowman Color Yogi Berra No. 121). Yogi Berra, the great New York Yankees catcher who died Tuesday at the age of 90, was, famously, a winner. He would have needed all of his fingers and three of his toes to fit all his World Series rings on at once. More than winning, though, Berra was famous for the things he said. Berra biographer Allen Barra described these famed Yogi-isms as “distilled bits of wisdom which, like good country songs and old John Wayne movies, get to the truth in a hurry.” But of course Yogi said it himself: “I really didn’t say everything I said.” Many a line attributed to Berra either came from old jokes or appeared earlier than he could have coined them. (In at least two cases, Yogi-isms originally appeared in early-20th-century New Yorker essays, including one by Dorothy Parker). How did the legend of the Yogi-isms become the dominant narrative of Berra’s life? In part it’s because Berra truly did have a remarkable ability to turn a phrase that was simultaneously paradoxical and clever. (“It’s déjà vu all over again” is one of the more famous lines that he actually said.) But the answer also has to do with the media mores of another time; sportswriters and other journalists felt free in those days to exaggerate, or even fabricate, facts to fit a storyline. When looking back on Berra’s era, historians face a real challenge separating myth from reality for many great players and sports personalities. Yogi Berra the legend was just the most pronounced of these modern myths, and the one that has lasted the longest. The Yogi Berra who captured the imagination of popular culture—Berra as idiot savant—was a narrative that Berra disliked early in his career, before coming to accept and cannily profit off of it later on. As much as this Yogi was a creation of Berra himself, he also was a product of Berra’s childhood friend and fellow pro ballplayer Joe Garagiola. A catcher like Berra, Garagiola helped proliferate this image as a major league broadcaster, before parlaying his Yogi stories into national fame as a panelist on NBC’s Today Show. “Joe built his whole career on these Yogi-isms, many of which were made-up,” Allen Barra told me, adding that he didn’t know the origins of many of the invented stories Garagiola shared. “Joe made it sound like Yogi would show up with a quip a day, and that’s not true.” For a time Berra resented his friend for the proliferation of this false image. “There was a bit of coolness there for a couple years,” Barra said. Yogi went so far as to say on multiple occasions that he didn’t appreciate people making up stories about him. In his 2009 book, Yogi Berra: Eternal Yankee, Barra describes how Garagiola crafted an image that caused Berra to be “underrated” for his playing abilities and as an intellect. 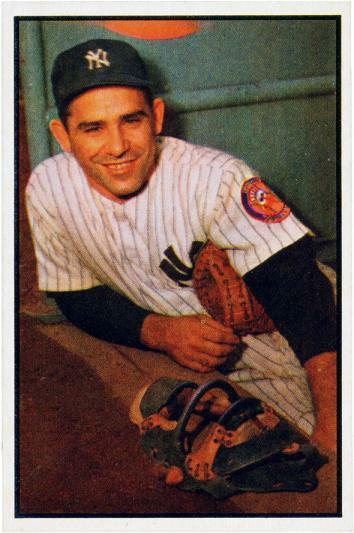 Through decades of telling Yogi stories, many real and some apocryphal, to audiences of millions during Joe’s days at NBC, he undermined the perception of Berra as a great player and competitor and replaced it with the image of an amiable clown who was lucky enough to have been around when the Almighty handed out roster spots on winning teams. I don’t mean to imply that was Joe’s intention, but the stories, repeated endlessly on television and paraphrased in newspapers and magazines and then in subways, in offices, and in bars, created a pseudo-Yogi that took on a life of its own, a caricature of a real man. Barra the author himself acknowledged in his book that Berra the myth isn’t entirely Garagiola’s fault. Yogi Bear, a character that referenced Berra and annoyed him to the point that he filed a defamation suit, was on the air three years before Garagiola started appearing on national NBC baseball broadcasts. Starting as early as the 1950s, New York writers were trying to get Yogi-isms out of Berra in the locker room.